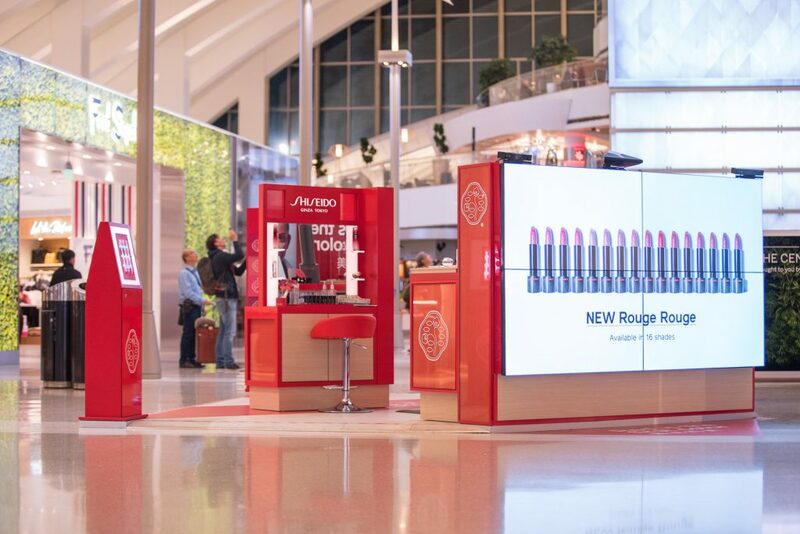 Shiseido has unveiled its first U.S. activation at Los Angeles International Airport’s Tom Bradley International Terminal (TBIT), the airport’s largest and busiest terminal. 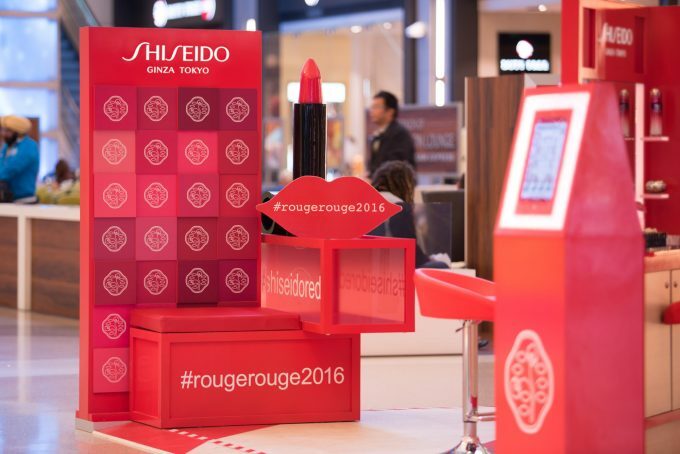 The activation showcased Shiseido’s newest lipstick formula, Rouge Rouge, a collection of 16 shades centring around the colour red. 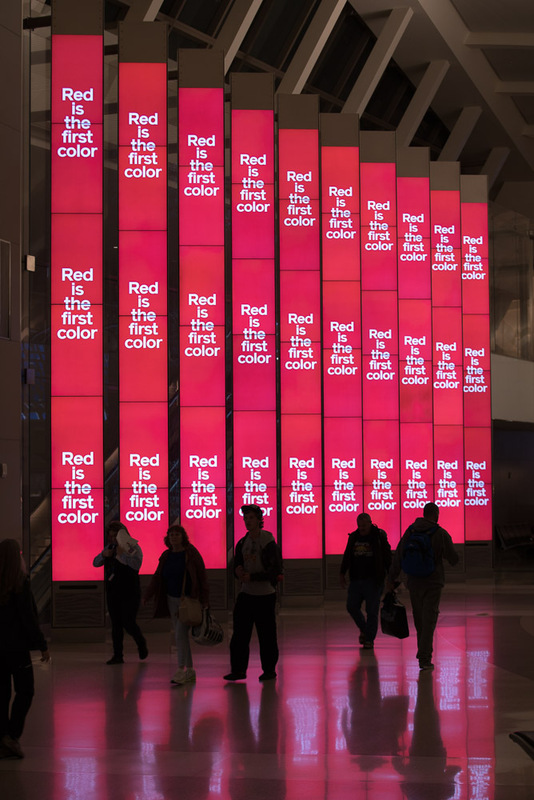 Part of the activation’s design included four 55-inch LED screens, which displayed the products as animated patterns that changed according to the movements of those standing in front of it. Using Vibrant Red Color Technology, Shiseido combines optimal pigments and light technologies to create the perfect red lip for every skin tone. 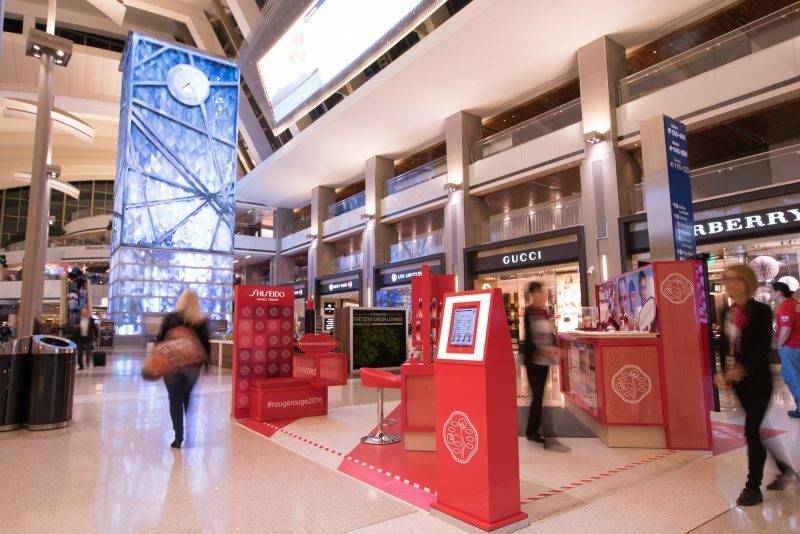 Travellers passing through the newly renovated TBIT were invited to stop at Shiseido to not only purchase products on-site, but also receive recommendations to help them find their perfect red lip. With the activation’s ‘Find Your Rouge Rouge’ iPad application, travellers also had the opportunity to create a digital portrait, which they could download via a short-form URL or QR code to their mobile phones to then share on social media using the hashtags #rougerouge2016 and #shiseidored. 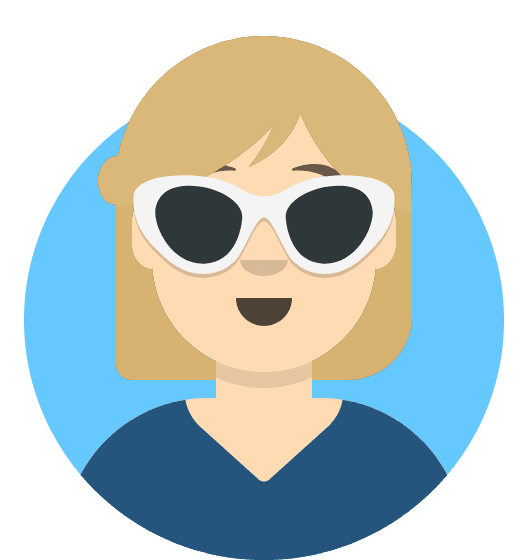 Last year alone, TBIT saw about 52.3 million travellers pass through – accounting for about 70 percent of overall passengers. The terminal has undergone an extensive renovation including a $148.5 million connector to five domestic terminals making switching from domestic to international flights easier on passengers. This emphasis on improving passengers’ travelling experience is being seen throughout airports around the world.